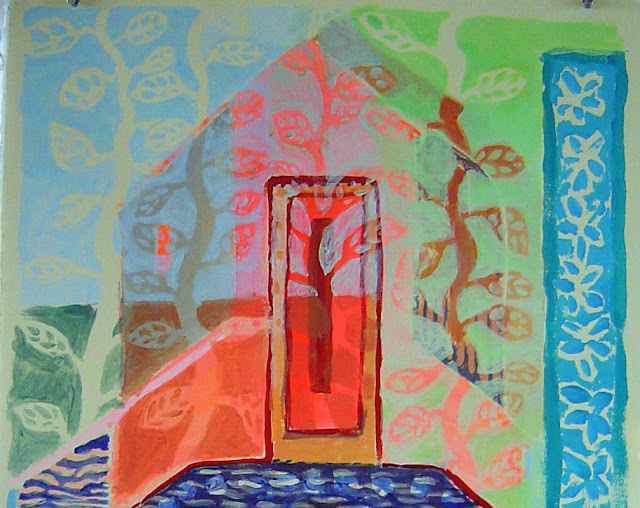 Pamela Gaard, a self-taught visual artist living in Minneapolis, MN, was educated in the sciences. For many years, Gaard made art from re-purposed and disparate materials, which she exhibited in galleries and museums across the US, in Germany, and Lithuania. Around six years ago she began to focus on portraiture as an art form. 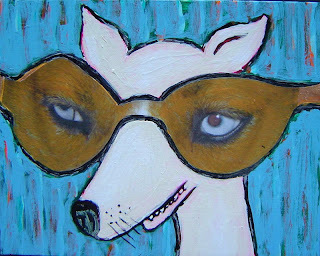 She currently paints in acrylics, sometimes with collage elements, on paper, canvas, and found objects. Her inspiration springs from the anxieties and exigencies of everyday life, and she's intrigued by the psychology of the human gaze – what’s revealed and what’s concealed. I like the idea of inventing something new with my art. As John Cage said, “I am trying to be unfamiliar with what I'm doing.” I gravitate to different genres artistically – and, have defined my art at various times as photography, stitching, sculpting, painting, or just ‘making’. Six years back, the artwork I was making was mostly three-dimensional, and created from household detritus like bedsprings, buttons, bottle caps, and pieces of cloth. 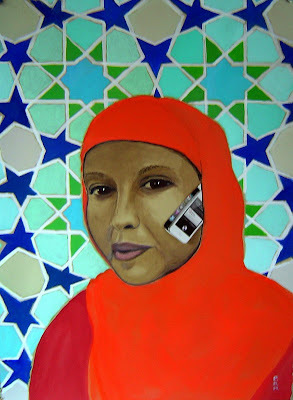 Currently, I’m working on two series – portraits, and other small paintings. The paintings are amalgamations of memories, obsessions, beliefs, and fears. Many of the ideas in my artwork come from a rather personal place, but also, my work is often political. My portraits are made from life in two-hour sittings, followed by additional time in the studio, when I use a photo of the model. They’re mostly people in my community – friends, neighbors, and co-workers. I’m married to the artist, Frank Gaard, and he and I often work in collaboration creating portraits in tandem -- two portraits by two artists, with the same model. I was born an artist, the same way that one is born with any disposition or orientation toward life. I’m, by nature, an observer and introvert. My earliest memories are of shopping for fabric with my grandmother, and ‘feeling’ the colors and designs – perhaps that explains my love for color, pattern, texture, and costume to this day. I have the eye of a detective, and the curiosity to dissect an idea, or visually identify a subtle color or hue. This is truly the conundrum about being an artist. After high school, I was accepted into art school, which I attended for one year before I discovered a disdain for arts in academia. So I’ve made a living with my science degree and credentials. I’ve made my art for pleasure, more than with a specific intention to sell. 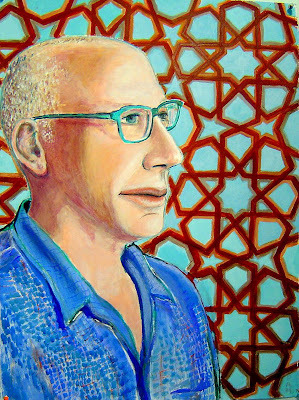 But, I have sold some of my portraits – in fact, most of my recent sales have been portraits. There’s no obligation to buy anything when you come to sit, but, some people do want to buy their portrait. Also, I’ve made art on commission. People who come to the house (our home/studio) to sit for portraits see a selection of works on the walls, and some end up buying artworks other than their portrait. I have developed a web album on Picasa for my portraits. How do you reconcile being both an artist and a scientist? I’ve struggled with that at times, especially when I had a third ‘job’ – as a single mother. My other roles have influenced my art, in the sense that art reflects one’s knowledge, intellectual curiosity, and understanding of the world. My public health work for the past six years has brought me into the large community of Somali elders living in Minneapolis, who are mostly non-English speakers. As I learn about East African cultures, I’m also learning to speak Somali language, and about Islamic art. You’ll see these influences in my art, as in some of the portrait backgrounds based on Islamic designs. Say more about the portrait collaboration between you and Frank. Frank and I view different sides of the model– one of us sees the intellectual side, and the other sees the emotional side. 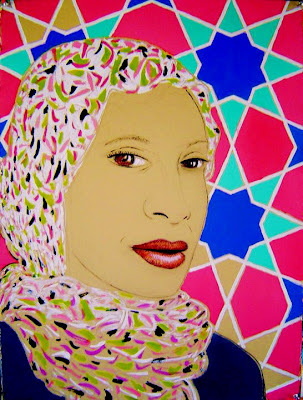 We have made portraits together for the past five years and have exhibited them in several venues, including the Walker Art Center and CO Exhibitions. 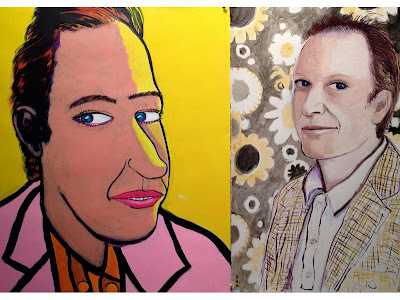 We both paint in acrylics (and sometimes collage) on BFK Rives – Frank’s portraits are twice my size at 44” x 29”; mine are 29” x 22”. There are stylistic differences, and sometimes they are consciously or unconsciously cross-referential. 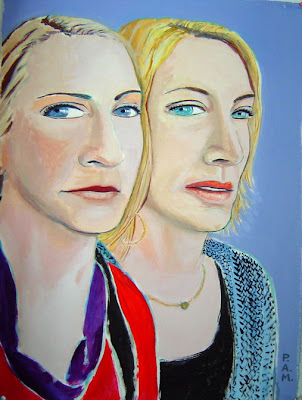 We have a page on Facebook where we post our double portraits. At Minneapolis Institute of Art, we’d see the fabulous bronze leopard from the Benin Kingdom, the Nick Cave sound-suit, and a few other gems. At the Walker Art Center this time of year we’d visit the Sculpture Garden; I’m also looking forward to seeing the Cindy Sherman exhibit this fall. Also, our fabulous flower gardens which are the embodiment of art – the Como Park Conservatory, the Lyndale Park Peace Garden, and the Lake Harriet Rose Garden. In addition to www.Local-Artist-Interviews.com, where do you go online for good art resources, whether to find a new artist or to see what is going on in the art world locally and otherwise? 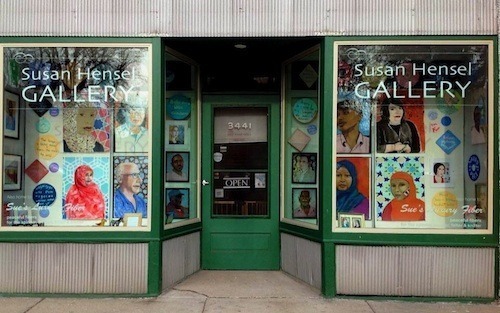 Susan Hensel Gallery (3441 Cedar Ave S, Minneapolis, MN 55407) through June 24, 2013. Read her Splash Magazine review. 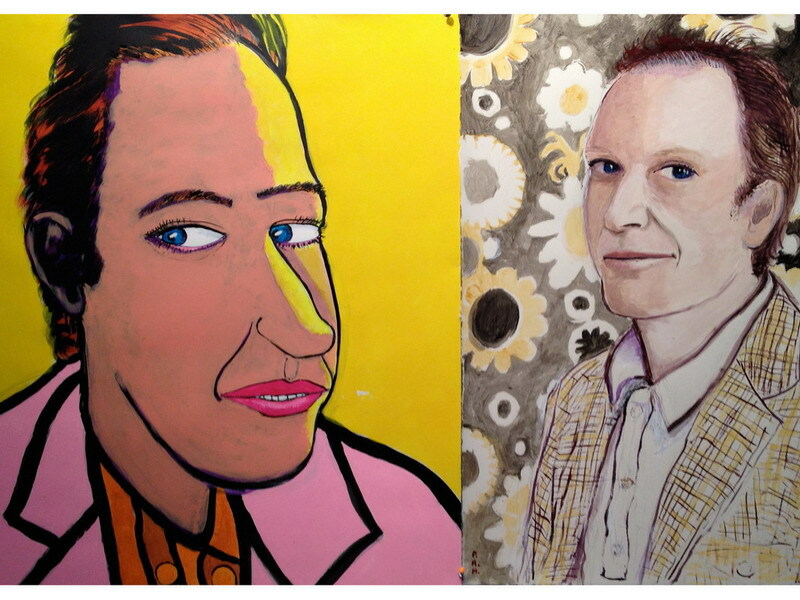 TuckUnder Projects is exhibiting our tandem portraiture in the exhibition ~ Pamela & Frank Gaard/Dual Portraits. Thursday, June 28, 2012 6-9 pm. The exhibition runs June 28-July 29, 2012, with unstructured hours Wednesday through Sunday, and by appointment. Please email info@tuckunder.org to confirm open hours. 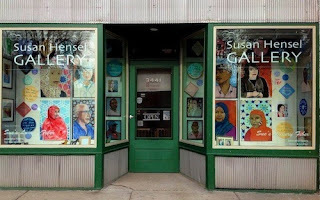 TuckUnder Projects is located at 5120 York Avenue South, Minneapolis, MN, USA 55410. For further information visit the Facebook event page or www.TuckUnder.org.